Team Cherry has just announced a sequel to its acclaimed Metroidvania platformer, Hollow Knight. In a trailer posted earlier today, the team confirmed that their next game will be titled Hollow Knight: Silksong. That announcement comes as something of a surprise. While the fact that something new and Hollow Knight-themed was already known, many assumed that it was DLC for the first game, which released in 2017. Indeed, that was the plan, but in reality, it’s a full sequel, this time putting you in the shoes of the fast-moving Hornet, who showed up repeatedly in the original game (much to my initial irritation). In the trailer, which you can watch a bit further down this article, you can see that some of Hornet’s abilities seem to carry over. The trailer description mentions new abilities, and the announcement from the developers makes specific reference to “lethal acrobatic action.” That’s not all, however, as it also mentions new weapons, hunting quests, plenty of new monsters, and an entirely new (and very pretty-looking) kingdom to explore. 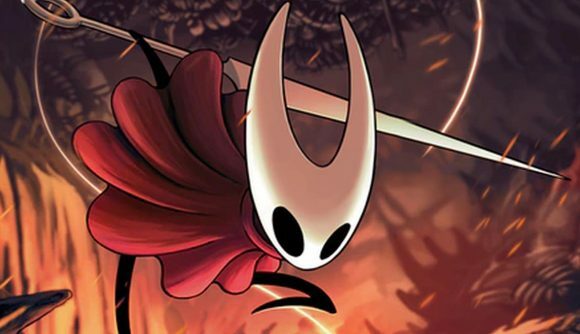 Team Cherry says that Hornet’s adventure was always intended to take place in a new world, but while it was originally supposed to be a DLC, “it quickly became too large and unique to stay a DLC.” That means that it’ll be a bit longer until it actually releases, but the three-person team reckons the wait will be worth it. Sadly, there’s no release date on the sequel at this point, but we do know that it’ll be out on PC and Switch. Given that the first Hollow Knight was extremely good, it’s no surprise that a full sequel is causing some significant buzz (sorry).